All month I’ve been pointing out freebies and affordable resources available to you through HOPE Unlimited. As we’ve reached the last Sunday of the month, I want to provide you a recap list for your convenience, in case you missed out on anything! AND, there will a fresh, new Freebies & Features page on February 1st that I’ll talk about in next week’s post. So essentially, the “month of giving” extends a little more next week. 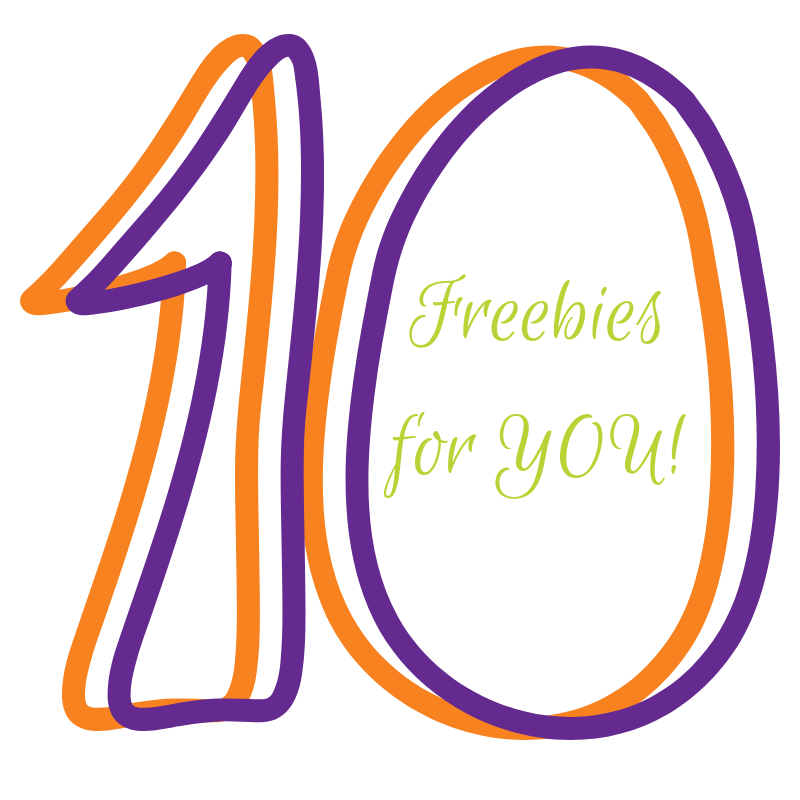 Here’s a recap of all the freebies mentioned in January – a Top 10 list if you will. Freebies and Features Page: January’s F&F page is up here. Get your free downloads and other info! 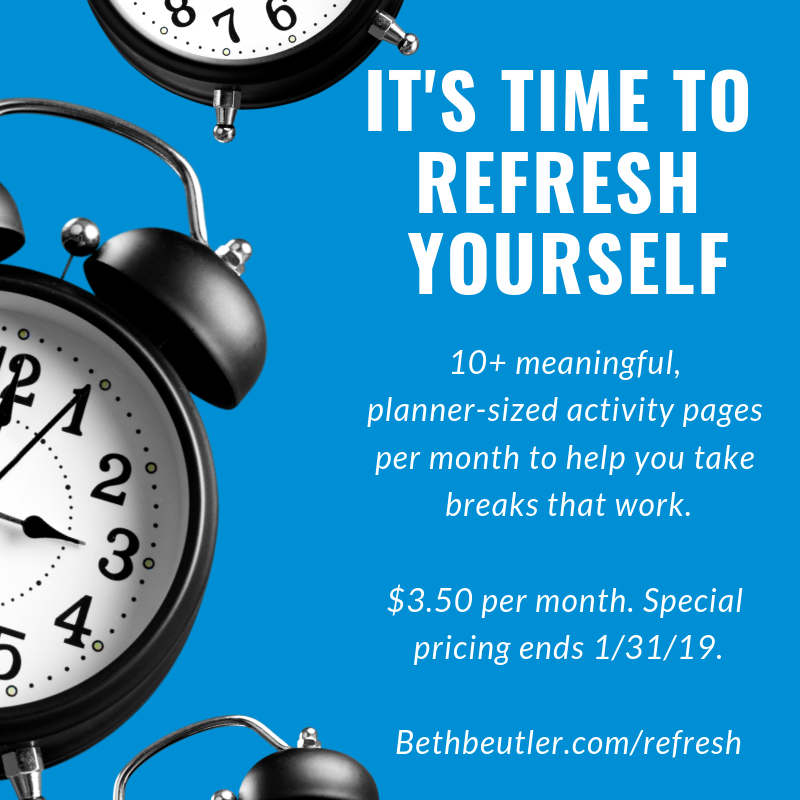 I currently provide a monthly freebies & features page to help you easily access resources to help you excel and exhale. Archive Page: Miss the freebie from last month (or months prior)? No worries. This page is a collection of freebies past and present and will continue to grow. Refresh – Helping You Take Breaks that Work. I’m concerned for professionals (myself included sometimes) that don’t take a real, meaningful break or two during their workday. These fun exercises (that can be cut to fit into a planner) will help you do that. The full January bundle is FREE as an introduction to this service. Click here for more info. Today’s Name of God – this is our Hope in Action project for 2019. The goal is to discover and share 365 names/characteristics of God. The project is non-denominational. It’s ideal for anyone who feels that God is a foundation to their personal value system and who would appreciate the near-daily inspiration. Posts began on January 1st on Instagram, Facebook and Twitter and there are other ways to see the names, too. Click here for the details. Updated membership options (including a FREE one!) HOPE Unlimited has moved toward a variety of membership options to serve overwhelmed professionals whether or not they are interested in Virtual Assistance. Get all the details (and join the Breath of Hope level free!) here. Our free Facebook (a closed, but inviting) group always welcomes new members. We interact over work-life questions of the day, tips, humor, etc. Join us here. The HOPE playlist on Spotify. This is a collection of songs that I like and that others have suggested, all tying into the theme of HOPE. There’s a wide variety here. The @helpingpros Instagram page. On a regular basis, I post tips, photos, and stories to encourage you in your professional life, like the one mentioned above. Unlock the Doors to a Peaceful Work Day – a free mini-course with five keys to putting together a less stressful workday. Free strategy session: I offer a free 30-minute strategy session to anyone who would like some ideas to reduce their stress at work and/or information about the various services we offer to help you do just that! Pick a time slot here! HOPE is a place for you to receive practical ideas and encouragement. I hope you’ll hang around for a long time to come! PS: Don’t forget this deal–ends on the 31st!